From the Anvil lever handles on rose are ideal for various settings, from a modern apartment or office to a quirky café or rustic cottage. For example, the polished chrome Newbury lever on rose is perfect for a classic and simple look, while both the monkeytail lever handle and the pewter regency lever on rose are perfect for a more vintage or rustic setting. Most of our selection of Anvil levers on rose are mounted on round roses, such as the polished nickel reeded lever on rose, however, we also supply lever handles mounted on square roses, for example the Avon sprung lever handle on rose. From the Anvil produces various lever handle designs with stunning finishes, such as polished chrome, aged brass, polished nickel and aged bronze. Door handles on rose can be paired with thumb turn locks, mortice deadlocks and sash locks to provide privacy and safety. 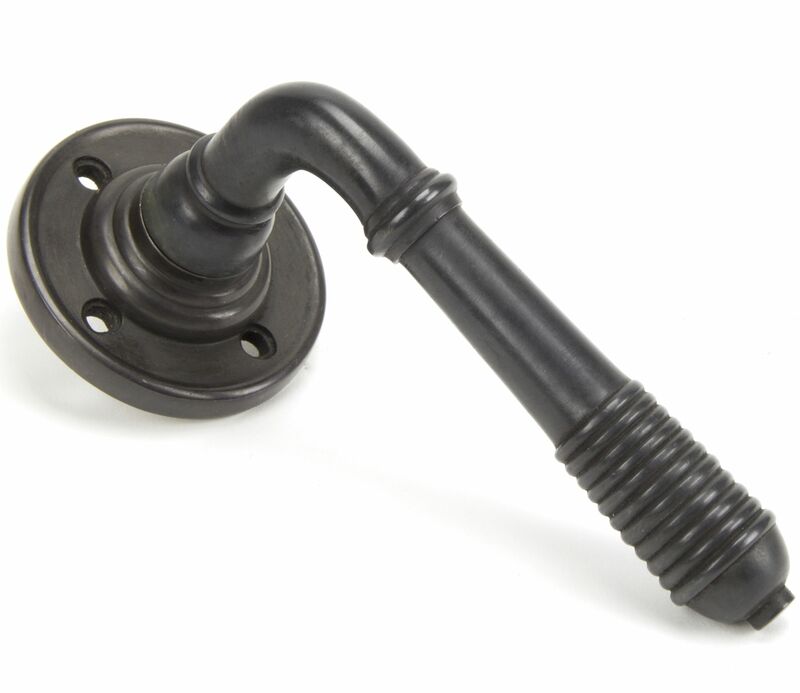 From the Anvil thumb turn locks are mostly used on bathroom doors and toilet doors. These can be locked from the inside and opened from the outside in case of an emergency. Both mortice deadlocks and mortice sash locks are operated with a key providing an increased amount of security when compared to the thumb turn locks. An Anvil escutcheon can be used to cover the keyhole to give a neater finish.